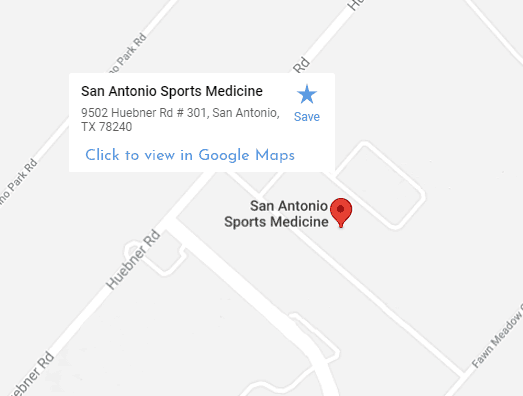 Call (210) 558-4600 to Book an Appointment or to contact our staff. You may access your AdvancedMD Patient Portal. here. Exit Interstate I-10 at the Huebner Road Exit and head toward the South Texas Medical Center.You will turn Right onto Huebner Road if you are coming on I-10 East and Left onto Huebner if you are exiting I-10 West. You will pass USAA Blvd. and Golden Quail Rd. Just past the sign and entrance to Grace Point Church on the left you will see a clock tower and the sign for Foundation Surgical Hospital. Take a left at the clock tower and drive straight ahead toward the hospital. You will see the main hospital entrance on the left and a building directly across the parking lot on the right #9502. You may park in any available space. When you enter the building our office is to the left. From Babcock Rd. turn onto Huebner Road east towards I-10. Drive past Floyd Curl Drive and you will see the clock tower and entrance to Foundation Surgical Hospital on the right. Follow the directions above to find our office.